In this process, molten metal is poured through a graphite mold. The opposite end of the mold contains a cooling apparatus. 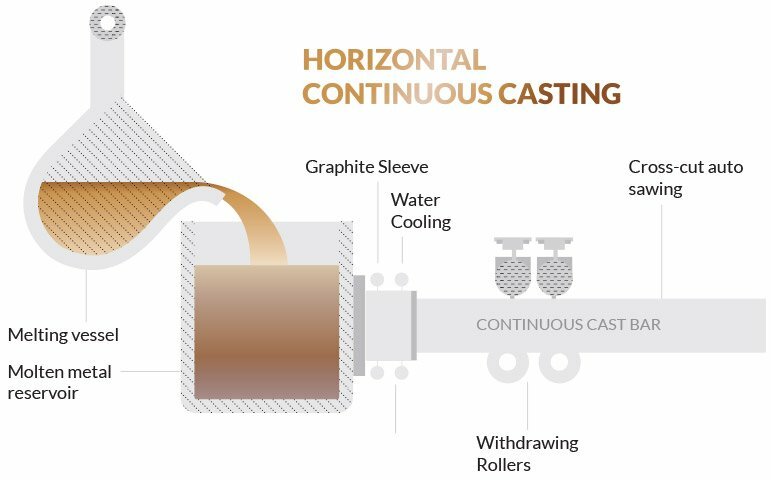 The withdrawing rollers draw the solidified rod from the mold at a continuous rate and pass it through additional cooling and finally cross cutting. 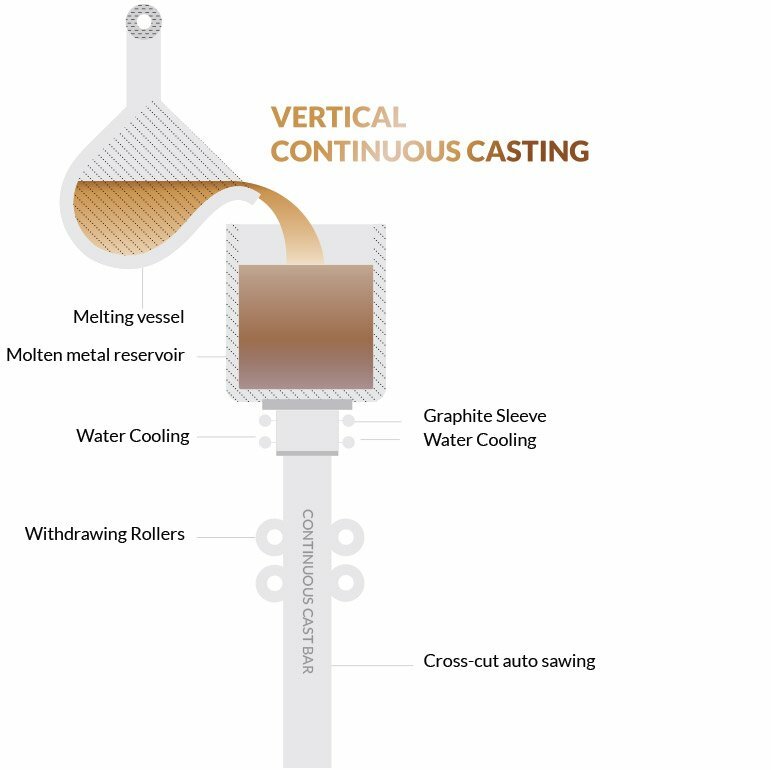 The improved mechanical properties of parts produced by continuous casting and its lower cost of operation for larger runs, make this method very economical. Extrusion is a process by which metal at a plastic state is forced to flow through a shape-forming die. When it emerges out of the die it inherits the shape of the die. Extrusion differs from drawing in that the metal is pushed, rather than pulled under tension. Using extrusion, a wide range of shapes can be produced.